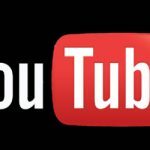 In 2007, YouTube started its Partner Program (YPP) which enabled users to start uploading videos and start making money by simply signing up for the service. Because of this initiative, YouTube turned into a source of money making along with a video uploading source. It helped YouTube to turn into web’s biggest video sharing platform. But it also led to some serious problems. People started sharing content from other creators, sometimes even from big labels and movie studios just for the sake of money making. After observing all these counter productive activities on the site, YouTube has finally decided to bring about a change in the Partner Program. From now onwards, creators wont be able to turn on monetization until their YouTube channel hits 10,000 lifetime views. YouTube believes that this threshold will help them in getting a fair idea about a channel if its legit or not and according to them this threshold is not so high as to discourage or cast down a creator from uploading content on their channel. This rule will even prevent offensive videos form getting uploaded for marketing purposes.